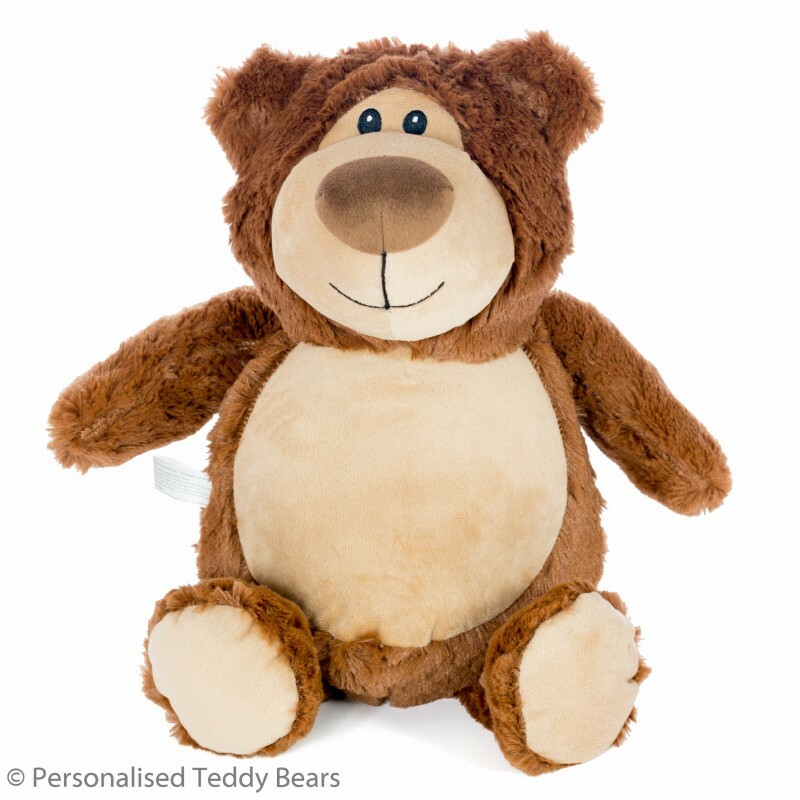 This personalised brown Cubbie teddy bear has the friendliest face you’ve ever seen, which paired with his super soft fur makes him perfect for cuddles! 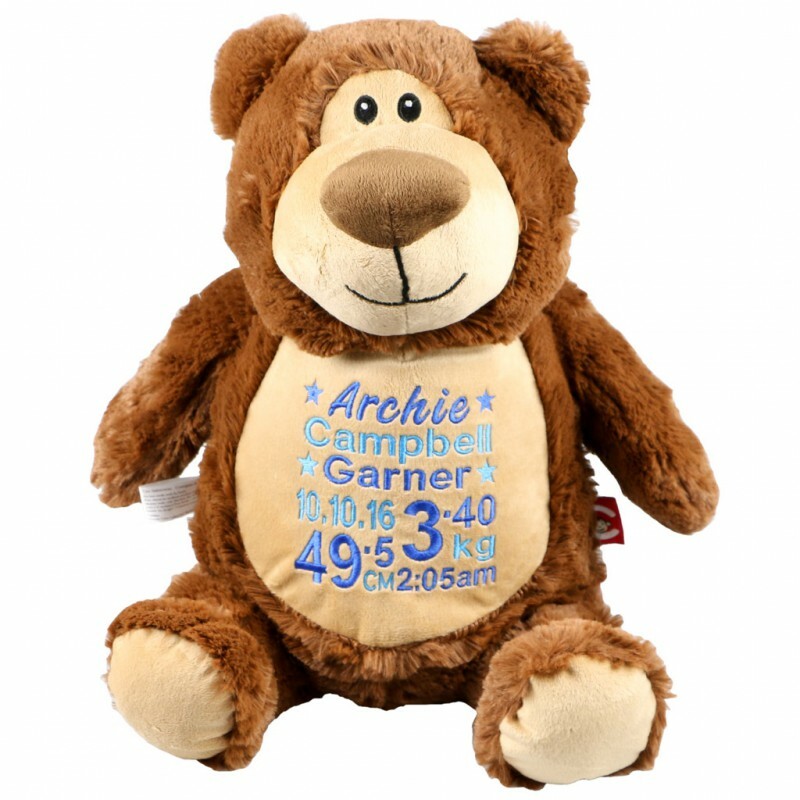 The lovely classic brown fur means he would be ideal as a gender-neutral baby shower gift, or personalised with birth details for a special newborn present. He’s a favourite of kids and grown-ups alike and is known for bringing so much joy to the receiver whether on their birthday or as a welcome home present. His plain tummy allows for plenty of room for embroidery and you can choose from any one of our customisable designs. He also comes complete with removable pods making him nice and easy to wash. 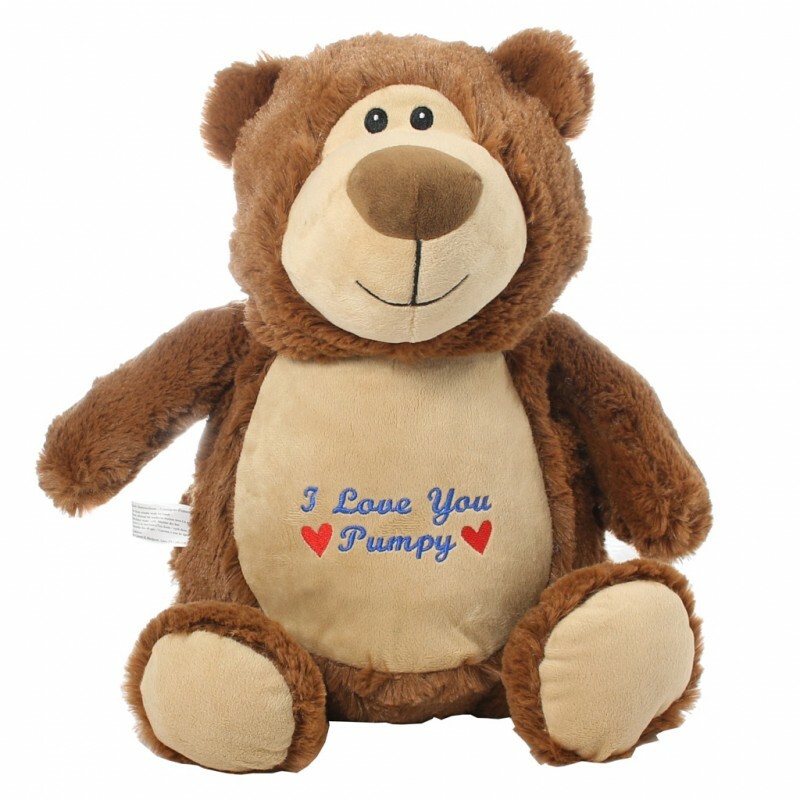 If you have any questions about our Personalised Cubbie Brown Teddy Bear, don’t hesitate to get in touch. Excellent quality teddy bear and beautiful embroidery. Great customer service and very helpful with getting the perfect design. Highly recommend.